"All the Hispanic students get pulled into the choir room..."
I don't usually share personal stories with people, but I decided to open up to my friend Michelle for this video. I have DACA (Deferred Action for Childhood Arrivals) which means that I can live, study, and work here in Alabama, where I grew up. DACA is under attack, so I'm overcoming my fears and speaking out about my status and my experiences. I can't vote, so I'm hoping to move 10 people to vote. Please click on that button to promise me that you will!. 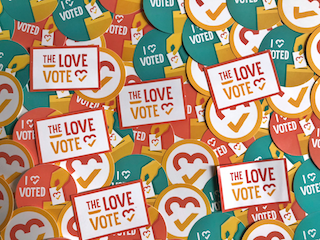 Show Roshell love + inspire others + get voting info + get event invites + get stickers + create change!